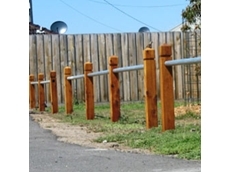 Eco- Build Lifetime construction materials supply and manufacture environmentally friendly bollards, posts and fence railings. 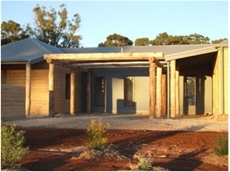 01/07/11 - Established in 1992, Norwood Products specialises in the supply of Ironbark and other durable hardwood products. 29/09/10 - The ‘Green Revolution’ has taken root in the stock fencing industry through technology developed in Mildura. 28/09/10 - Mildura Regional Waste Management Group has been selected as finalist in the 2010 Keep Australia Beautiful Awards. 23/09/10 - Integrated Recycling is the newest member of the Integrated Packaging Group and is involved in recreating engineered endurance products from waste plastic. 22/09/10 - Integrated Packaging offers a new line of glow in the dark bollards from Integrated Recycling, leaders in recycled engineered endurance products.